Born and raised in South Carolina, Henry McMaster has spent three decades working for the people of South Carolina. Henry McMaster has been recognized for his cooperative leadership, and he is ready to make South Carolina one of the nation's leaders in job creation and economic development once again. Beginning as President Ronald Reagan's first US attorney and now as our state Attorney General, Henry McMaster is the only candidate with extensive executive leadership experience in the race for governor. 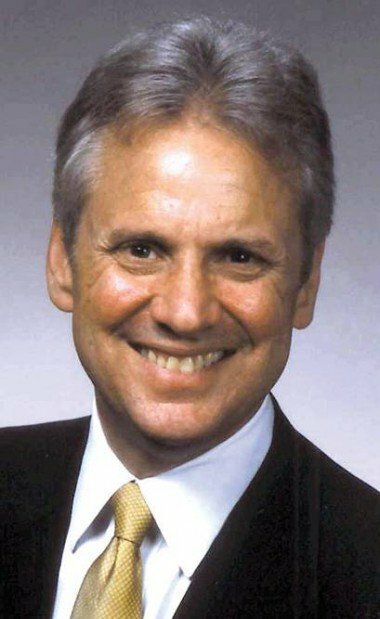 During the last seven years as South Carolina's top prosecutor and legal officer, Henry McMaster investigated and successfully prosecuted the largest white collar criminal case in state history, resulting in convictions for all six financial investment executives responsible for defrauding twelve thousand investors out of $278 million, many their entire life savings. McMaster also launched successful efforts to protect our children from Internet predators who target children for assault or abduction. Using a new law he pushed through the General Assembly, McMaster launched a statewide Internet Predator Task Force made up of over fifty local, state and federal law enforcement authorities to run undercover stings targeting predators over the Internet. To date, 167 predators have been arrested by the task force with over 100 convictions. Calling it "the state's number one crime problem," McMaster has launched a tough new campaign against domestic violence by recruiting and deputizing volunteer attorneys to prosecute domestic violence cases in magistrate courts around the state where no prosecutor was available to handle the cases. To date the volunteer attorneys have handled 3,167 cases, increasing the conviction rate from 30% to 68%. In 2004 McMaster launched a statewide task force aimed at combating illegal dog fighting and drug trafficking, putting some of the nation's highest level dog fighters and breeders behind bars. For his leadership, the Humane Society of the United States named McMaster the 2005 National Law Enforcement Official of the Year. McMaster has led the way in attacking the methamphetamine problem in the state, calling it the "kudzu of drugs." In cooperation with retailers around the state, the South Carolina Meth Watch program was launched in an effort to educate retailers on the dangers of meth and how to enact loss prevention tactics to curb the theft of meth ingredients from their stores. Attorney General McMaster served as Chairman and public spokesman of the South Carolina Marriage Amendment Campaign in 2006 to pass a state constitutional amendment that defines marriage as an institution between one man and one woman. 78% of voters approved the amendment. Attorney General McMaster fought the American Civil Liberties Union (ACLU) when it sued the town of Great Falls in 2005 on behalf of a Wiccan high priestess in order to ban reference to Jesus Christ in town council prayers. A graduate and member of the law review at the USC School of Law, McMaster is married to the former Peggy Jean McAbee of Spartanburg and they have two children, Henry, Jr. and Mary Rogers.